← Kel’s Spiced Pickled Peaches: Make These Now! Yes, it’s true — homemade marinara sauce is much better than any of the jarred stuff you get at the grocery store. 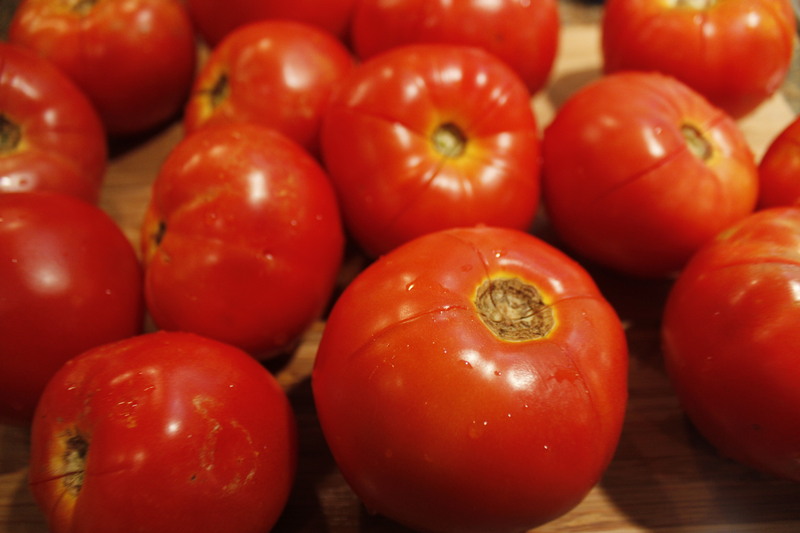 By using fresh ingredients, you control what goes into it, especially sodium, sugar and preservatives. 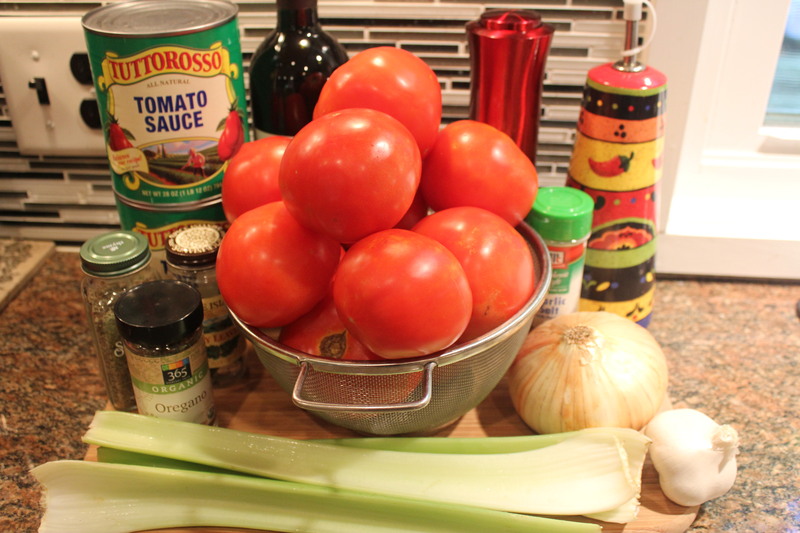 I have to admit that I normally use canned whole tomatoes whenever I make marinara sauce, especially in the winter. But not this year, with the canning kick I’ve been on. 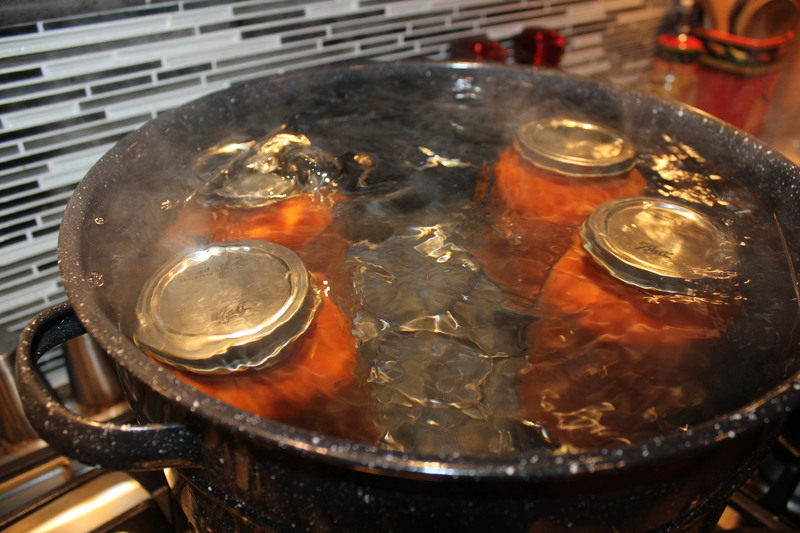 Yes, canning is a lot of work, but totally worth it. Creating Italian dishes when it’s cold outside, using the marinara sauce I preserved in the summer, just makes the recipes taste better! 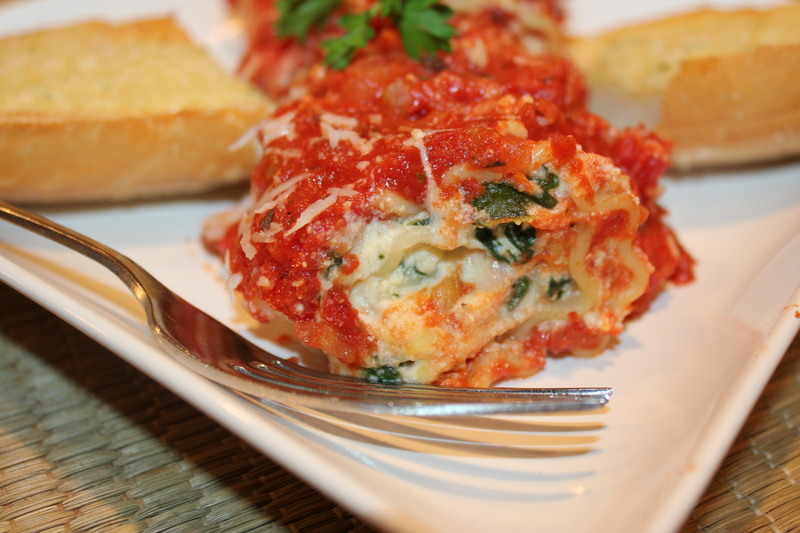 I love this spicy marinara sauce as a basis for spaghetti and meatballs, pasta puttanesca, eggplant parm, lasagna – any recipe that requires a nice and spicy tomato-based sauce. BTW, it is superb on its own! Feel free to add other ingredients to the sauce as desired, such as diced carrots, Worcestershire sauce, other spices, etc. The amounts in this recipe are specifically for canning four quarts of this glorious sauce, but definitely adjust them if you’re not canning. Bring a large pot of water to boiling. 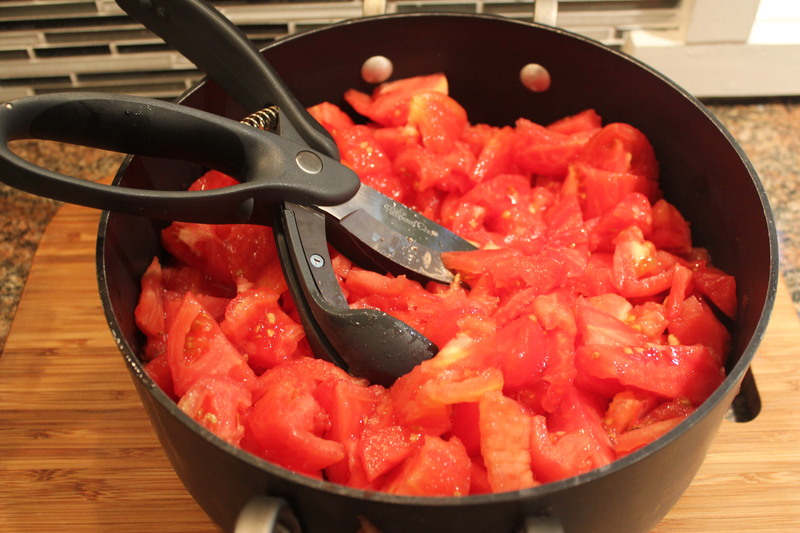 Wash the tomatoes and score the tops with a sharp knife, making an “X” on each one. 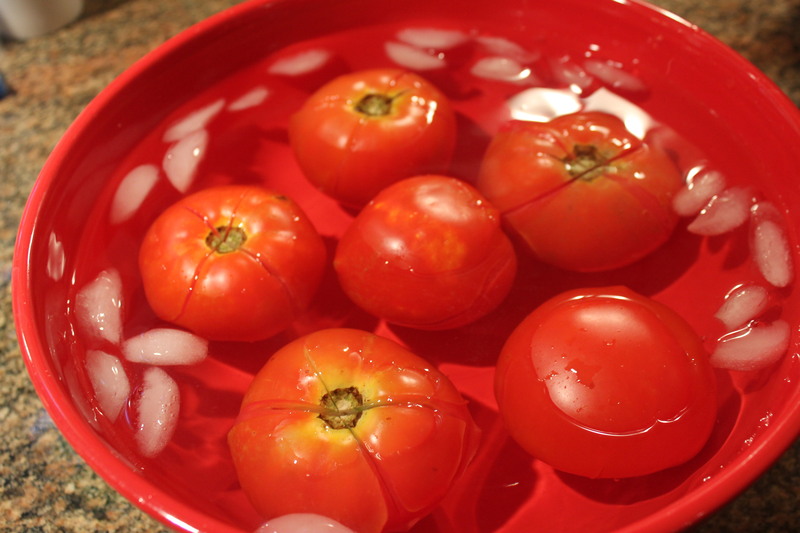 Boil tomatoes in small batches for one minute only, then plunge them into an ice bath. 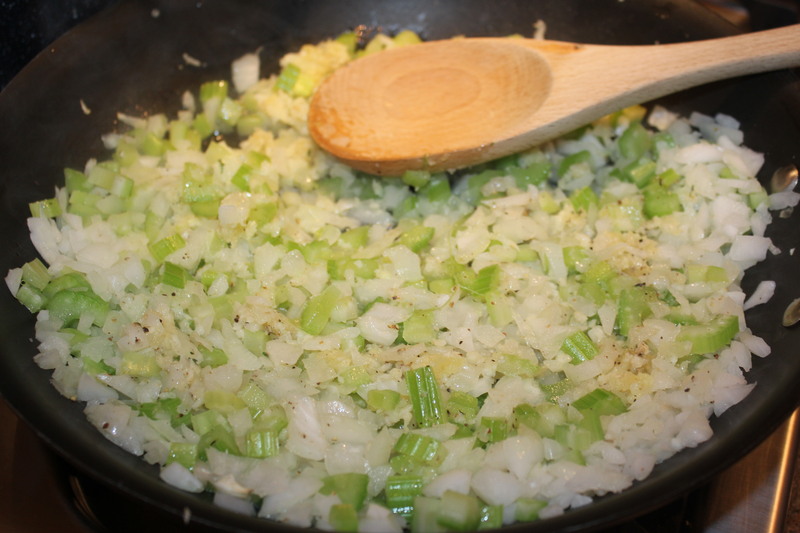 Heat the olive oil in a large skillet and sauté the onions, celery and garlic until they start getting soft. Remove from heat. You can sprinkle these with salt and pepper to taste. 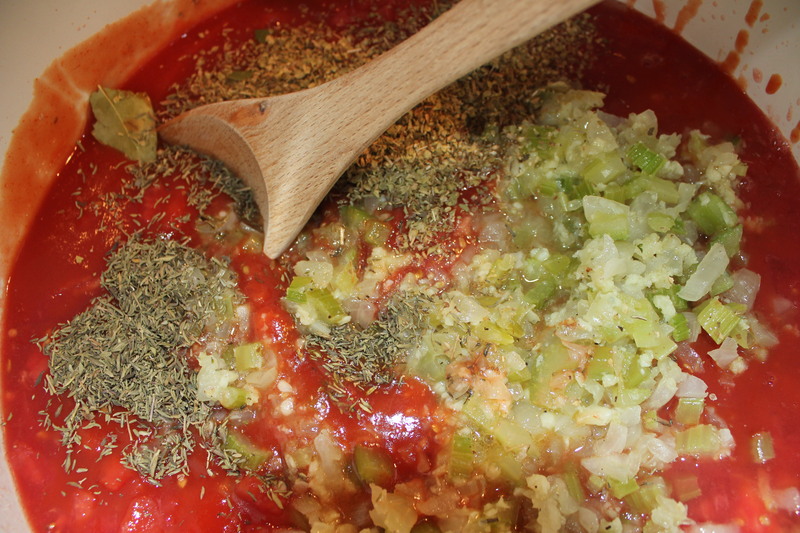 Mix all of the ingredients in a large pot and simmer for a few hours. 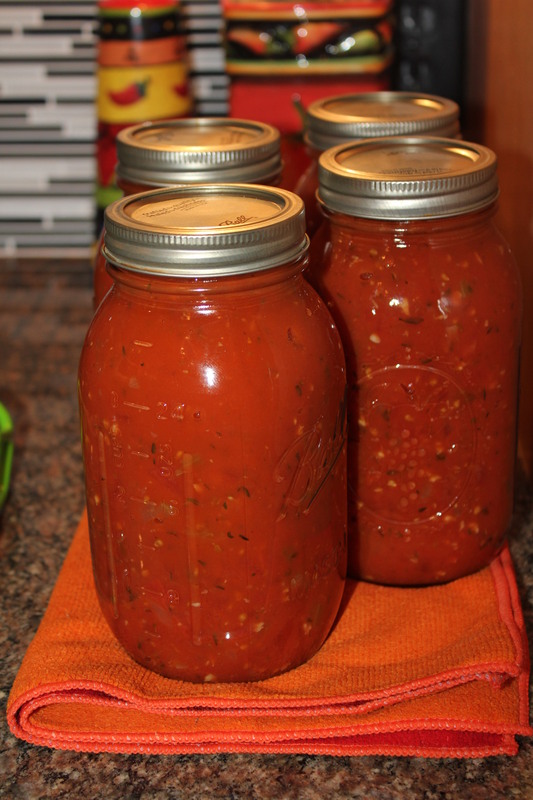 I like to refrigerate the sauce overnight before I start the canning process. Add 2 tablespoons of bottled lemon juice or ½ teaspoon of citric acid to a jar and fill it with the marinara sauce, leaving ½-inch headspace. Make sure you have removed the bay leaves. I like to use a funnel for this step, since I usually make a mess! 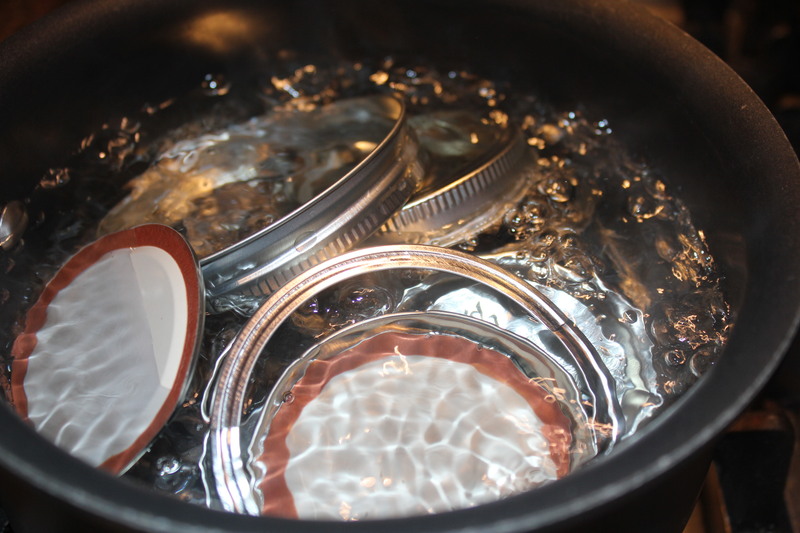 Remove any air bubbles, wipe the rim of each jar to remove any spilled sauce and adjust the two-piece caps. 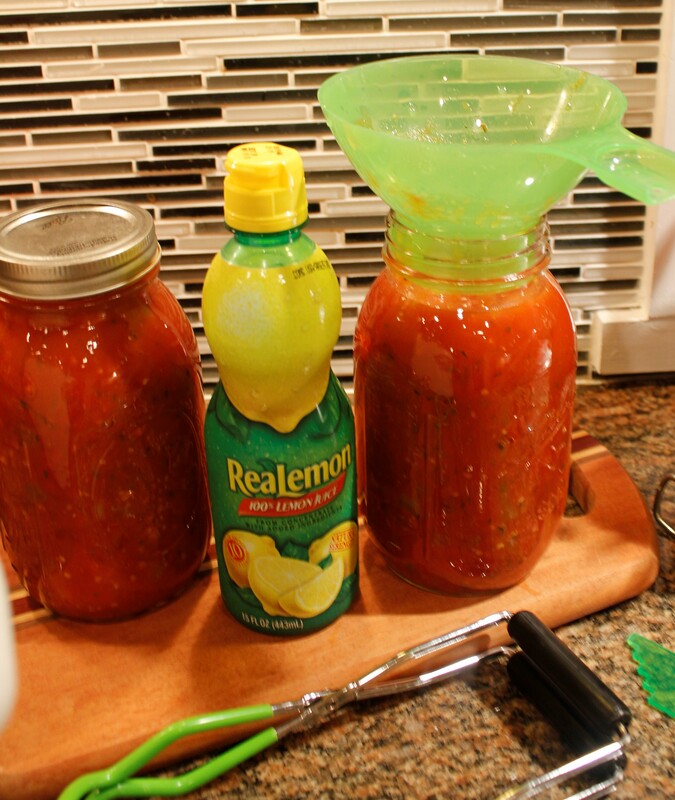 Once you have finished filling all of the jars, process the marinara sauce in the water canner for 40 minutes. Once the jars cool, label them with the date and store in a cool, dark, dry place. 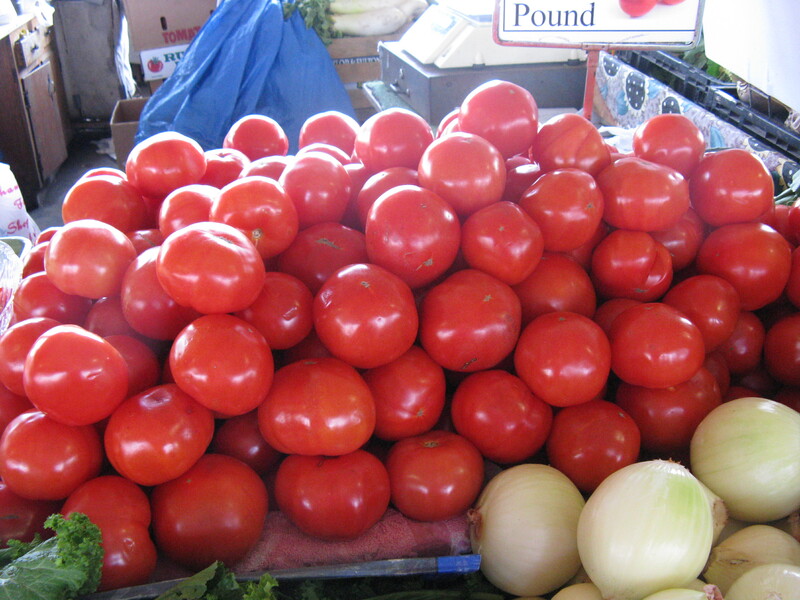 If you live in North Carolina, there are still plenty of fresh tomatoes available. So can them while you can, in anticipation of using your homemade marinara when the days get dark and the weather grows cold. You’ll be doing a happy dance when you get to use them! This entry was posted in Low fat, Pampered Chef tools, Recipes, Soups and Such, Vegetables/Vegetarian/Vegan and tagged canning marinara sauce, eat drink and be merry, Kel's Cafe Spicy Marinara Sauce recipe, Kel's marinara sauce for canning, Kelley Chisholm recipes, Preserving marinara sauce, Preserving tomatoes, spicy Italian marinara sauce recipe, vegetarian recipes. Bookmark the permalink.